Well furnished stylish appearing rooms with an in-house restaurant. Vinamra Residency is a beautifully-designed, island-inspired hotel in Mumbai close to temples, lakes, and other intriguing sights. The rooms are strikingly beautiful with wooden headboards, designer walls, dual toned curtains, and upholstered beds. 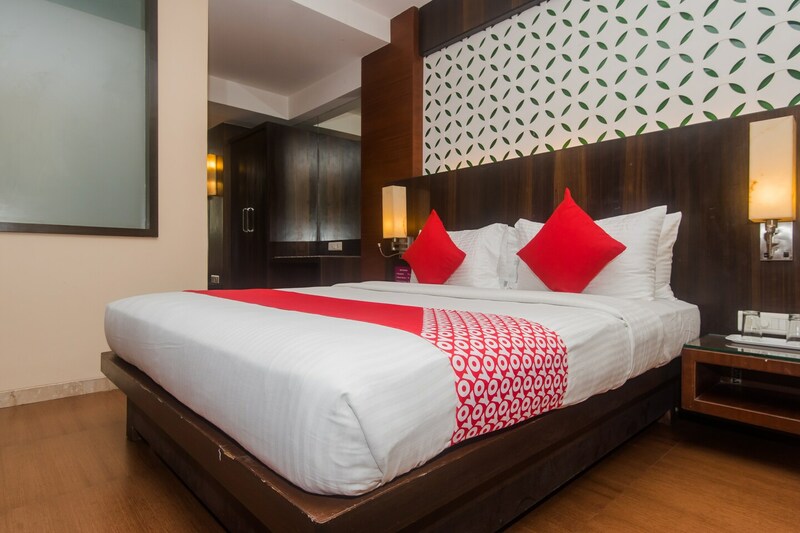 Well-equipped with essential amenities that are convenient for all, the rooms and the bathrooms are super clean and pretty as well. The hotel is modern in that it offers plenty of facilities to guests including an in-house restaurant and its own kitchen for freshly-prepared meals that has been decorated in true retro style with coastal chairs and cerulean hues. Laundry service is also available at the hotel. Take a walk along Vadale Talav-DCP for memorable experiences with nature.